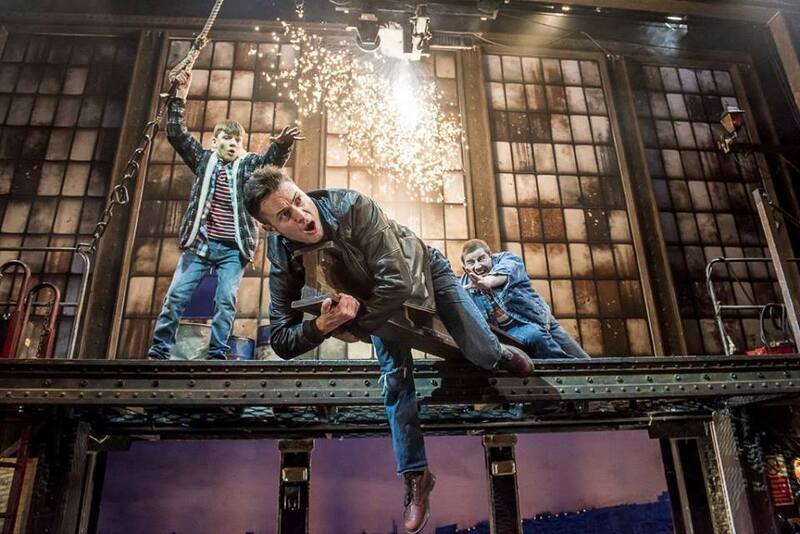 Review: The Full Monty. Nottingham Theatre Royal. – East Midlands Theatre. 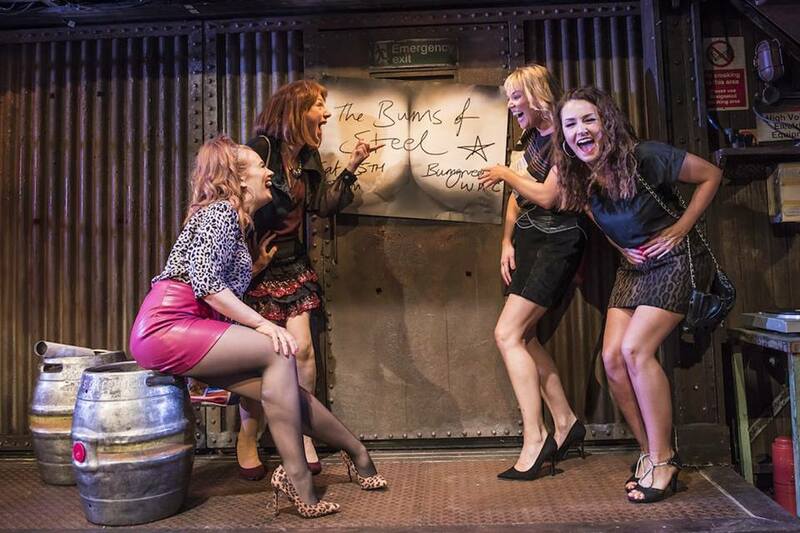 This evening, the very appreciative audience at the Theatre Royal, Nottingham, got exactly what they were looking – and cheering – for, The Full Monty! The play, based on one of the most acclaimed British films ever, follows the familiar storyline very closely and there are no surprises – or none that aren’t anticipated anyway! The by now well-known story of out-of-work Sheffield steelworkers still has heart and charm, amongst the laughs. The beauty of the tale is in the pathos of the strong, hardened men, used to being the breadwinners, suddenly finding themselves redundant, both literally and metaphorically. Gaz (Gary Lucy) is trying to earn a few quid to pay his maintenance and keep seeing his son, by stealing girders from the former steelworks. Dave (Kai Owen) is feeling emasculated with all the housework he has to do while his wife works. Gerald ( Andrew Dunn) hasn’t even told his wife that he’s been unemployed for 6 months. And so it goes on. Seeing how popular the Chippendales are with the local ladies, the lads decide stripping may be a way to make a quick buck. 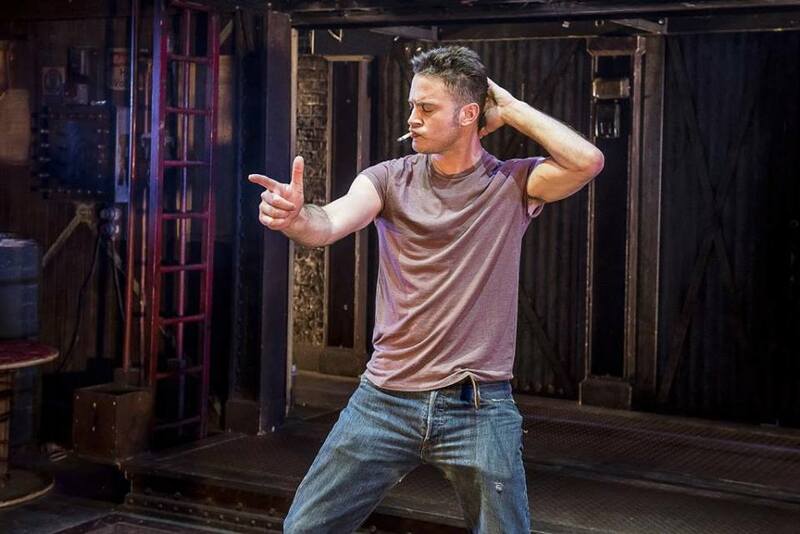 Gary Lucy and Kai Owen as Gaz and Dave have a natural camaraderie which fits the characters, and undoubtedly comes about from many hours spent on tour together. Andrew Dunn, as the ball-room dancing Gerald, delivers some of the best lines with perfect comedy timing, a throw-back to his training in Dinnerladies no doubt. Louis Emerick, another familiar face from TV, is at home playing the former northern soul dancer showing off some great moves, despite his apparently dodgy hip. 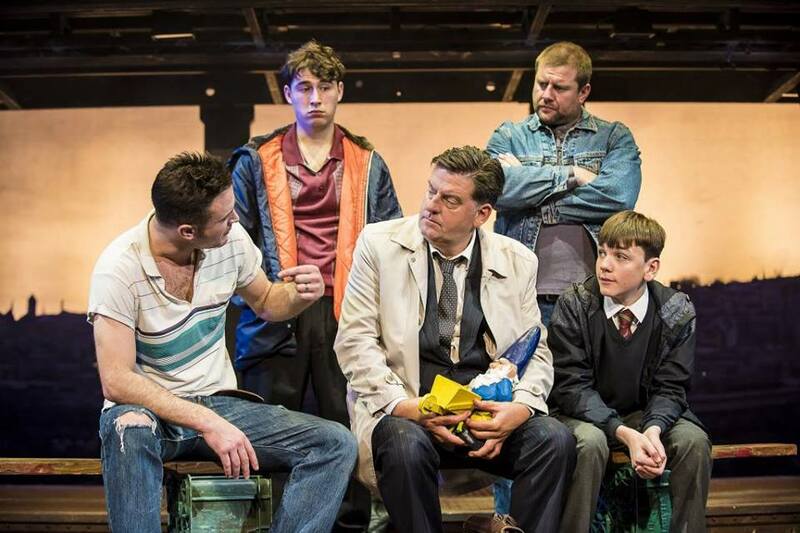 The most touching scene is that between Guy (James Redmond) and Lomper (Joe Gill). Very recently discovering his homosexuality, Lomper is a mother’s boy who daren’t express himself. Guy seems very self-assured and confident but has been badly hurt. The two find some common ground and friendship blossoms. This scene is given a bit more time to breathe than many of the others and allows the emotional depth of the play to come through. Mostly, the show flies along, one scene moving headlong into the next. The supporting cast play multiple parts and wring the best out of the plain-spoken, northern humour. 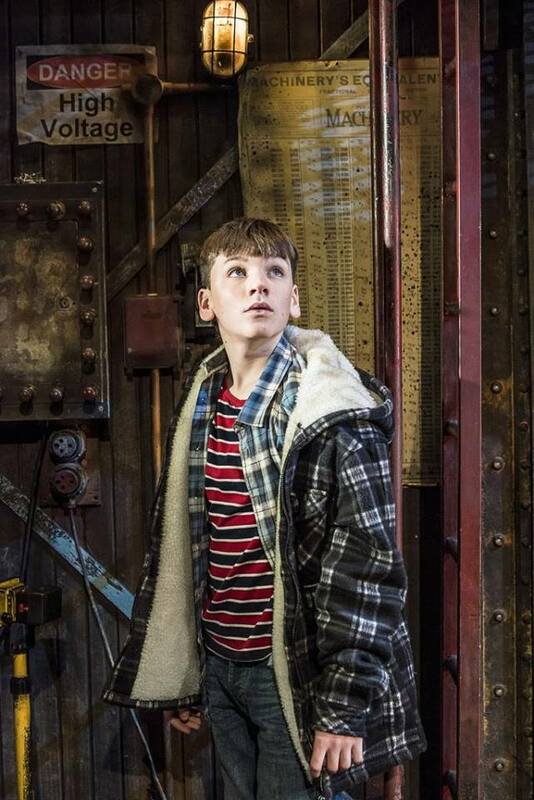 Gaz’s son Nathan, played by Fraser Kelly, gets one of the biggest cheers of the night when he stands up to his Dad and tells him to get his act together. Kelly has a very natural on-stage presence and great rapport with the rest of the cast. The impressive set, looking every inch the towering, rusting and dilapidated steelworks, is static, with just small changes to signs and lights creating the illusion of ‘other’ places. This was a little restrictive and meant some scenes lacked a little atmosphere, but given the speed at which the show moved it was not too distracting. With the familiar songs from the film, including Donna Summer, Hot Chocolate and Tom Jones, there is plenty to entertain and the production bowls along at pace, with lots of laughs. Some of the gentle heart of the original film is lost in translation but with a story this well known, everyone knows just what they’re getting. And when the men finally get to do their strip, what everyone gets is The Full Monty!